This stunning 4 bedroom freehold townhouse is a truly rare property, overlooking a quiet, leafy park in Camp Hill. Offering all of the benefits of a house and wide outdoor spaces, without the maintenance - perfect for downsizers or busy families. A vibrant mix of retail, dining, modern units and townhouses is coming to one of Coorparoo and Camp Hill's most-loved pockets. One of three luxurious, individually designed, modern freehold town homes in one of Greenslopes' most picturesque streets. Enjoy luxurious designer interiors and the best of modern living - with three and four bedroom options available. Just a short walk from popular cafes, shops, parklands, public transport and medical centres. 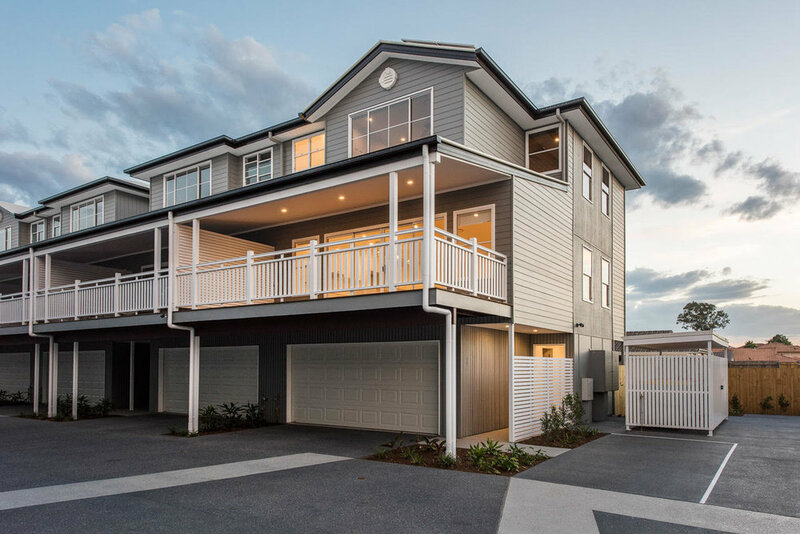 Founded in 2012, Marquee Developments combines one of Queensland's best luxury builders with an unrivalled eye for property growth potential and 20 years of friendship to deliver high quality homes for modern SEQ families. One of the unique attributes of Marquee Developments is that the construction is completed by its related building arm, Groove Properties. This means that the builder and developer are fully aligned to deliver each project on time and to the highest quality. At Marquee Developments, we have a wealth of experience behind us, giving you the piece of mind that your home will be designed and constructed with the highest level of detail. Have a retailer you'd love to see in Martha St Village? Tell us! All information provided will remain secure and private. Thanks for subscribing! We look forward to keeping you up to date with our latest projects. In partnership with Groove Properties.